At Car‑Wal Garage Doors, we’re dedicated to ensuring the highest quality every time we do work for our customers. We’ve been in business since 1973, our technicians routinely exceed our customers’ expectations, no matter what the job is. Get in touch with us now by calling our Hamilton office 905-304-9700 to discuss your garage door project. We understand that emergencies can strike at any time, and we offer 24‑hour emergency service to ensure that you have help when you need it. You can call us at 905-304-9700 if have a garage door repair in Oakville, or use our our online contact form. We’re proud to serve Oakville and surroundings as Hamilton, Kitchener, Waterloo, Guelph, Simcoe, Port Colburne, Brantford, St. Catharine’s, Grimsby, Beamsville, Binbrook. As one of the most densely‑populated areas of Canada, Oakville was rated as the third‑best place to live in Canada. Whether your home has a Contemporary, Traditional or Carriage design, we have a garage door that will fit it perfectly. Spend some time in our Design Centre and learn how many choices you actually have. At Car‑Wal Garage Doors, we can offer service for all garage doors in Oakville, whether you have a damaged garage door opener, a broken spring, or something else. We specialize in garage door installation, service and maintenance and we keep most parts in stock at all times, including mechanical and replacement parts, as well as decorative accessories. 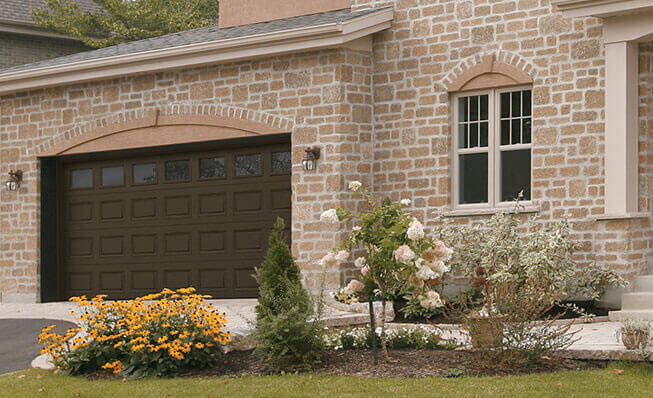 Car‑Wal Garage Doors recommends LiftMaster garage door openers. These convenient systems offer a range of options and reliable operation, and you’ll find the ideal solution with us for everything from residential garage doors to commercial and industrial systems. With the humid continental climate with cold, but not extreme winters and warm summers of Oakville, we highly recommend an insulated Garaga garage door. Use our design center to match your home’s exterior. Both the Cambridge and the Standard+ models offer an R‑16 thermal resistance rating and boost your home’s efficiency.